By learning just one new chord... You will now be able to play in another KEY. just by adding the A7 chord... We welcome you to the Key of D.
Special Note: Normally you would use the A chord in the key of D... 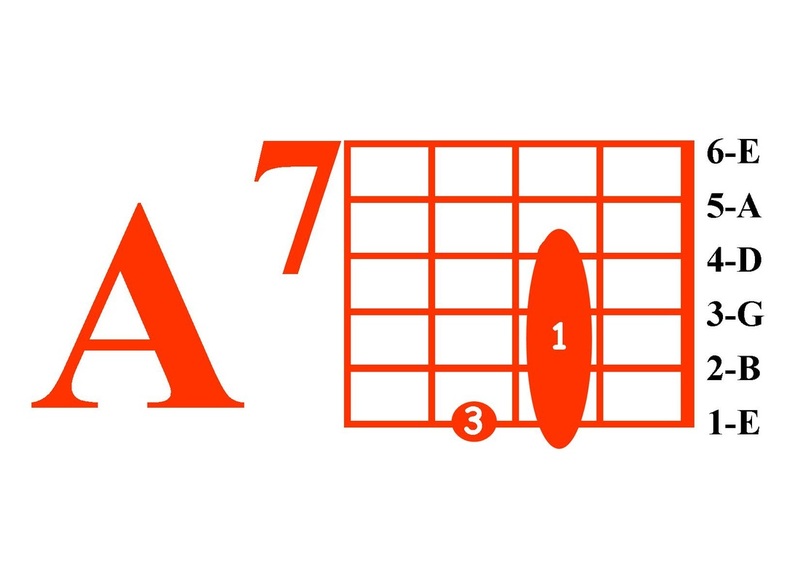 I have found that the A chord is harder for most people than the A7 chord... It requires all three fingers to be placed in that 2nd fret (where the bar is). Fingers 1, 2, and 3 are placed on strings 2, 3, and 4... and they are all scrunched together in one small area. You would have to leave the 1st string open, thereby making it HARD to play. By barring the 4 strings in that 2nd fret and dropping your 3rd finger on the 1st string in the 3rd fret you will get an A7 chord. I use D - A7 - G chords in all of my Scripture Songs that are played in the Key of D... The A7th sounds OK to me.